A robot is a virtual or mechanical artificial agent. In practice, it is usually an electro-mechanical system which, by its appearance or movements, conveys a sense that it has intent or agency of its own. Our first movie poster has attached lots of interest worldwide and now we give you the Release 2, same design but different information. 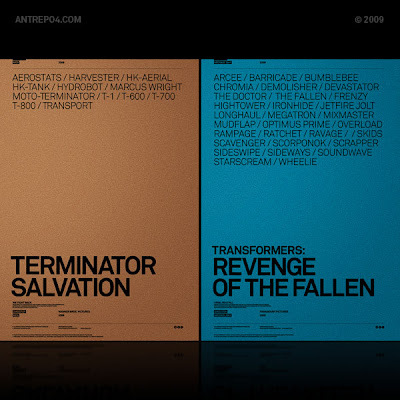 This release shows the cybernetic organism in the movies. 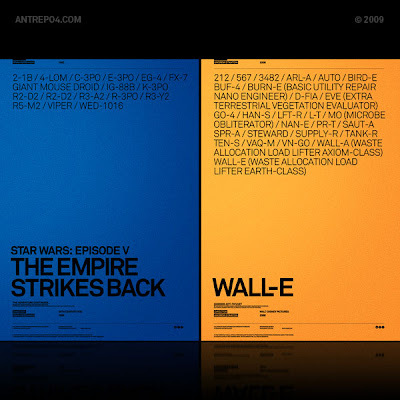 Created by Antrepo Design Industry as "Alternative Movie Posters R2"
what font is it ?